The appearance property defines how elements (particularly form controls) appear by default. 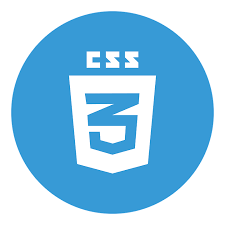 By setting the value to none the default appearance can be entirely redefined using other CSS properties. Chrome browser supports this property with prefix -webkit-.The appearance property is supported with the none value, but not auto. WebKit, Blink, and Gecko browsers also support additional vendor specific values. This browser property is compatible with -moz- for Mozilla Firefox browser. -moz- appearance:none doesn't remove the dropdown arrow in select tag. IE browser doesn't support CSS Appearance. Safari 3.1 to 11.1 are partially supported with this browser property with prefix -webkit-.The appearance property is supported with the none value, but not auto. WebKit, Blink, and Gecko browsers also support additional vendor specific values. This browser element is partially supported by Microsoft Edge browser. Microsoft Edge and IE Mobile support this property with the -webkit- prefix, rather than -ms- for interop reasons. Opera browser version 10.1 to 12.1 doesn't supports this property.This property is partially compatible for Opera 15 to 53 with prefix -webkit-.